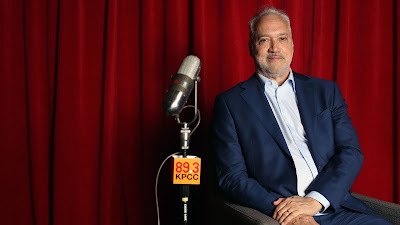 Media industry veteran Herb Scannell, 62, was recently named president and chief executive of Southern California Public Radio, the nonprofit that operates KPCC-FM (89.3) in Pasadena, California. It also runs KUOR-FM in the Inland Empire, KVLA-FM in Coachella Valley and the LAist website. Previously, he led Viacom Inc.’s Nickelodeon and BBC Worldwide North America. Most recently, he ran Los Angeles digital media company Mitú. He starts his new position on Thursday, February 28, 2019. Scannell grew up in the suburbs on New York’s Long Island, the youngest of four. His Boston-bred Irish father and his Puerto Rican mother were both social workers. Her rich culture dominated the household, he said, with rice and beans usually winning out over mashed potatoes, which came from a box. “It was a very different experience than everybody else on our block,” Scannell said. Every third summer, he and his siblings stayed with extended family in Puerto Rico. As he grew older, Scannell said, he learned to appreciate growing up in a culture different from his peers. “That was a gift,” he said. Scannell’s radio experience began early. 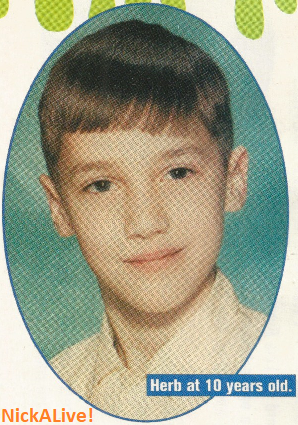 As a kid, he would spend Tuesday nights listening to a pop music radio station count down the top 20 songs of the week. For fun, Scannell would write them each down on a loose-leaf sheet of paper. Scannell attended Boston College, where he worked at the campus radio station, later becoming the general manager. After he graduated with degrees in history and English, Scannell wasn’t sure what to pursue. He got in touch with a family friend who worked at a country radio station in New York. Scannell was hired as a promotions assistant, and riding around on the subways became part of his routine because he had to count posters of Dolly Parton to make sure the station was getting the ads and space it paid for. When he was 23, the woman who hired him quit, so Scannell was left on his own. He leaned on his friend, who left radio to work in television, for help. Scannell decided to leave the radio station for a marketing position at Showtime and later became a programmer. He helped launch shows including Dora the Explorer, The Brothers Garcia, Taina, Rugrats and Hey Arnold! He was named network president in 1996, and for 10 consecutive years, Nickelodeon was the top-ranked children’s cable network, he said. The company challenged notions that boys wouldn’t watch shows with female lead characters, he said. And instead of waiting for talent agencies to reach out to them, they traveled the country in search of regular kids. 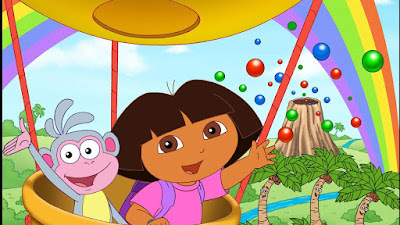 With the success of Dora the Explorer, the company sold out 23 days of a live show at Radio City Music Hall in New York City. Scannell watched as the crowd of children shouted “salta!” (Spanish for “jump”) during the show. It was amazing to see children of all backgrounds chant in unison and bond over a culture rarely seen in media, he said. “It’s like a ‘whoa’ moment because you got 4,000 kids speaking Spanish because they’re connecting with a character, and it’s not about anything other than their joy,” he said. Sensing that the internet was going to change the way cable networks operated, Scannell left the company to join in the change. He became CEO of Next New Network, an online media company that helped video creators on YouTube distribute their work. He had an idea of turning it into the Viacom of internet television, but he and his team were early, and it was later sold to YouTube. In 2017, after heading up BBC Worldwide North America, he was named CEO of Mitú, a digital media start-up targeting a Latino millennial audience. “I always harbored this idea that there was an opportunity to really elevate and celebrate Latino talents and audience,” he said. But last summer, when the company didn’t raise enough money and Scannell realized he wouldn’t be able to achieve bigger plans he had for it, he resigned. “I was gonna go big or go home,” he said. 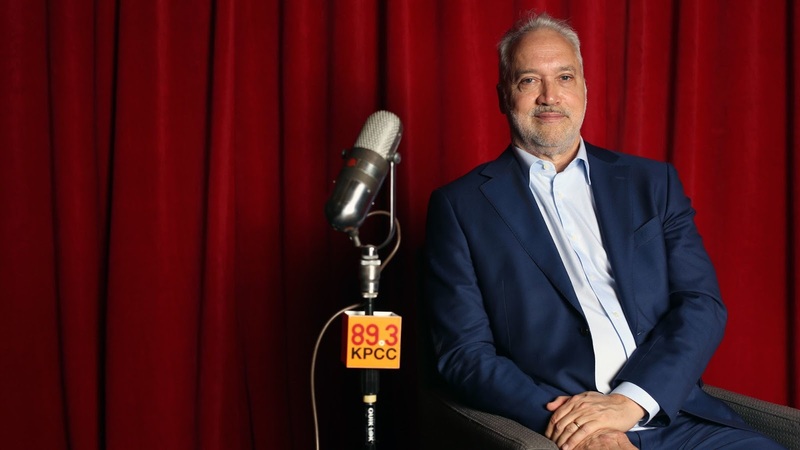 At KPCC, Scannell said, he plans to emphasize local journalism, covering neighborhoods that may be underserved as other media outlets face financial strains. He also plans to grow the public radio station through podcasts, something that WNYC — where he served as board chairman — managed to do successfully, producing shows such as 2 Dope Queens and Freakonomics. California, he said, is a state that many people look to see what’s possible. “What happens here matters everywhere,” he said. More Nick: First Look at Isabela Moner in Paramount's 'Dora the Explorer' Movie! Original source: The Los Angeles Times.